This highly acclaimed criminology text presents an up-to-date review of rational choice theories, including deterrence, shaming, and routine activities. It also incorporates current examples of deterrence research regarding domestic violence, drunk driving, and capital punishment, and features thought-provoking discussion of the relativity of crime. The authors explore the crime problem, its context, and causes of crime. The organization of the text reflects the fact that the etiology of crime must be at the heart of criminology. It examines contemporary efforts to redefine crime by focusing on family violence, hate crimes, white-collar misconduct with violent consequences, and other forms of human behavior often neglected by criminologists. 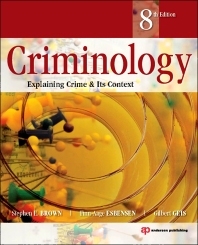 Extensive discussion of evolving laws is included, and while the prevalence of the scientific method in the field of criminology is highlighted, the impact of ideology on explanations of crime is the cornerstone of the book. Comprehensive introductory textbook that looks at competing answers to the question, "Why do people commit crimes?" Student-friendly figures, features, highlights, and full-color photos. Each chapter includes learning objectives, discussion questions, and lists of key terms and concepts, key criminologists, and important legal cases. The eighth edition includes updates throughout and expanded coverage of biosocial theories of crime and life-course criminology. Criminal Justice and Sociology students. 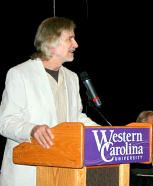 Stephen E. Brown is a Professor of Criminology & Criminal Justice and Department Head at Western Carolina University. He received the Ph.D. in Criminal Justice and Criminology from The University of Maryland in 1979. He went through the professorial ranks at East Tennessee State University, serving as Department Chair for 11 years and leaving as Professor Emeritus in 2008. Brown has published articles in a number of journals, including Criminology, Journal of Criminal Justice, Journal of Criminal Justice Education, Criminal Justice Review, Youth and Society and Social Science Quarterly. His areas of research interest have been broad, covering topics such as family violence, deterrence, delinquency, and application of statistics within criminology. He has served as a Trustee on the board of The Academy of Criminal Justice Sciences, and as editor of The American Society of Criminology’s The Criminologist. He is currently working with several colleagues in assessing pedagogical challenges in teaching social science statistics. Finn-Aage Esbensen is the E. Desmond Lee Professor of Youth Crime and Violence in the Department of Criminology and Criminal Justice at the University of Missouri-St. Louis and is currently serving as Department Chair. He has held research positions at the Center for Criminal Justice at Harvard Law School; Catholic University; the Behavioral Research Institute, Boulder, Colorado; and the Institute of Behavioral Science, University of Colorado. He received both his B.A. (German and Sociology) and M.A. (Sociology) degrees from Tufts University and his Ph.D. (Sociology) from the University of Colorado, Boulder.